Backpacking is amongst the cheapest ways to travel around the world, and also the least luxurious. This way of traveling is perfect for those who are adventurous, but want to save money. However, going to a different country has a lot of uncertainties with regards to your safety. Keep in mind, that when it comes to the water source, you will never know if what you are drinking is safe or not. That is why, you need the best backpacking water filter to keep you hydrated during your outdoor activity. This portable water filtration system features a 16-ounce reusable pouch. Plus a seven-inch drinking straw. In addition, it also comes with a cleaning plunger so that cleaning the filter is a breeze. The filter can purify up to 100,000 gallons of water. Hence, it can remove bacteria and protozoa making your drinking water safe. It is made possible by the fact that, its pore size is certified to be not larger than 0.1 microns. Also, the filter itself only weighs two ounces. This mini water filtration system can be used in four ways. You drink directly from the pouch using the straw. Or, pour the filtered water into a water bottle. You can also screw the filter to a bottle because it fits most disposable water bottles. 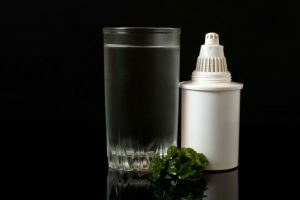 Aside from those benefits, you can fill your own drinking bottle with water from lakes, streams, and ponds. You will be able to sip filtered water just by using the straw. Although sold separately, you also have an option to use the hydration pack. Put this in your backpack, attach the hose connector. Then, sip clean water conveniently without having to take out the container. On another note, you can choose from the 12 available colors. The ones available in the market are black, blue, camouflage, green, and pink. 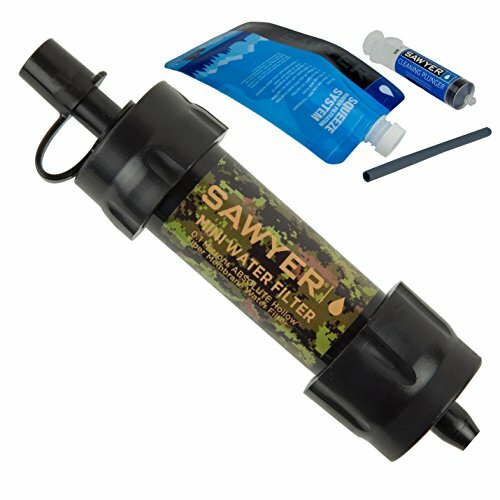 Is this the best backpacking water filter to keep you hydrated during your outdoor activity? Keep reading and find out what our verdict is! The filter will last a long period of time. Customer service is provided by the manufacturer. It will take some effort to be able to sip water. The Katadyn Hiker Microfilter weighs 11 ounces and has a dimension of 3x6x2 inches and comes with four different items. A hydration system connector. The second is a prefilter with an intake hose. An output hose with a universal bottle adaptor. Last but not the least, a carrying bag. This product features a 0.2-micron glass fiber filter and activated carbon that helps eliminate harmful microorganisms and sediments in the water. Aside from that, this microfilter works by placing the pre-filter directly into the water source. You just have to pump it, so that safe water comes out. The filtered water may be put into hydration bags or bottles depending on your preference. In addition, the filter is capable of purifying up to 750 liters of water. The filter can get clogged at times. 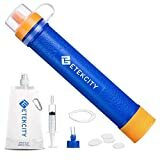 Etekcity Portable Water Filter has a three-stage filtration system. It includes a prefilter, an activated carbon filter, and a hollow fiber UF membrane inline filter. As such, it can remove 99.99 percent of waterborne bacteria, protozoa, chlorine, and heavy metal ions. Other than that, it can also filter up to 1500 liters of water. Nonetheless, the whole system only weighs approximately 60 grams. The kit includes a pre-filter, an extension tube, a foldable 16-ounce water bag, and a backwash device. This portable water filter works in several ways. One, you can fill the pouch with water and drink using the straw. You can also drink directly from the water source by putting the filter straw in it. Secondly, the filter can also be attached to a water reservoir in a backpack. If the water source is too murky, you may use the extension tube and attach it to the filter straw. Has a user manual and a one-year warranty. The fabricator provides customer service. The water pouch has been FDA-tested and approved. The pouch can be easily clipped to a utility belt or a backpack. 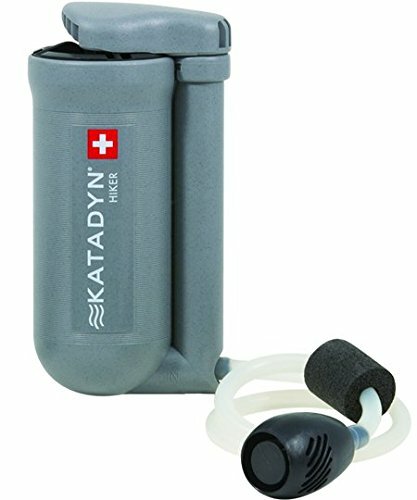 With regards to convenience, the best backpacking water filter amongst the three is the Katadyn Hiker Microfilter. Due to the fact that this is the only one that won’t require you to sip from a straw. Also, the amount of effort you need to exert is less than the other two reviewed in this article. When it comes to filtration efficiency, the Etekcity Portable Water Filter is the better choice because the water will go through three stages. This filtration system has been tested by several institutions. On the other hand, when it comes to longevity, the filter from Sawyer is the best amongst the three. It can filter the highest amount of water. Nevertheless, all three portable water filters are great to bring for backpacking. They are all lightweight and convenient to carry. 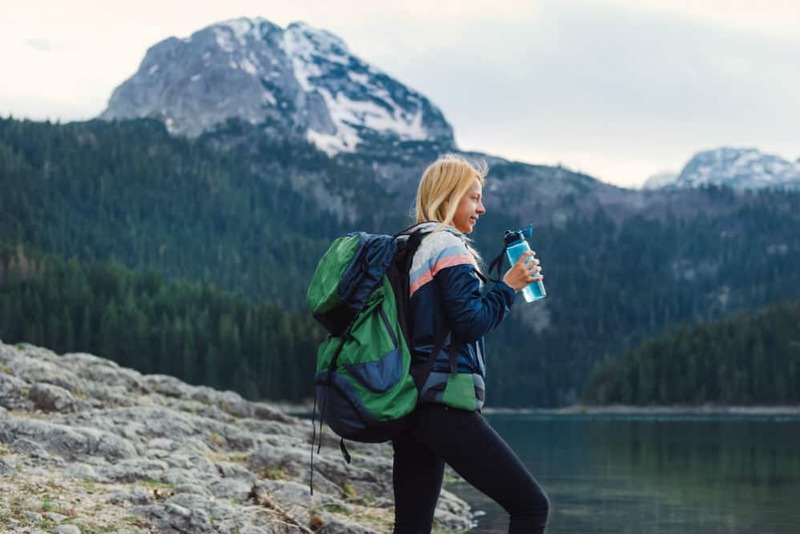 We hope this helps you in your search for the best backpacking water filter to keep you hydrated during your outdoor activity.